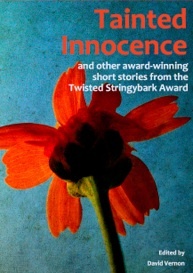 My short story ‘The Pretender’ was highly commended in the annual ‘Twisted Stringybark Award’ and is to be published in the accompanying anthology. Always good to get a writing credit. This entry was posted on Wednesday, May 16th, 2012 at 18:59	and posted in Uncategorized, Writing. You can follow any responses to this entry through the RSS 2.0 feed. Hooray! We’ll be on Kindle together. My agent let me put four novels and a novella online. Not as classy as your writing, though. Congratulations! Yes it is, and congratulations. Congratulations on getting your story published!